The “Paycheck Fairness Act,” meant to close the gap between men’s and women’s pay failed to pass in the Senate Tuesday. The paycheck fairness act only had 52 votes, eight short of the two thirds requirement. The bill failed because Senate Republicans feared that companies would suffer if employees filed lawsuits for pay. Republicans instead deem the paycheck fairness act unfair toward employers. The goal of the paycheck fairness act would be to hinder companies from reacting negatively towards employees who express concern about their pay, and would allow employees to press charges against discriminatory pay. The paycheck fairness act would require that employers provide legitimate reasons for differences in pay, such as qualifications, education and other factors that do not include gender. Republican lawmakers did not speak of the issue before Tuesday’s vote in Senate. The last 49 years have marked a slight increase in women’s pay compared to men’s. 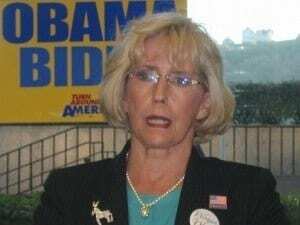 Lilly Ledbetter, the creator of the workplace equality movement, has expressed disapproval of Mitt Romney’s lack of response to the paycheck fairness act. President Obama signed the Lilly Ledbetter Fair Pay Act in 2009, which allowed employees to contest to pay inequality in court. When Ledbetter was working at a Goodyear Tire & Rubber Co. plant in Gadsden, Alabama, she was blind to the difference in her pay to male employees, until the end of her career at the company. She learned of the inequality in her pay when she was sent an anonymous note. When she brought the discrimination case to court, it was too late. The court declared a 180-day limit after the first act of discrimination to file the suit. A democratic aid said that if President Obama is reelected, part of the Democratic reign will be devoted to denouncing Republican view toward women’s interests. In other words, some are viewing the paycheck fairness act as a mere campaign move.